Our mechanical bull is of the highest quality; manufactured in the U.S. it has the largest range of programs and functions, is made of cast iron (typical bulls are made from aluminum) and has a timer on the console. Set up area required: 5.5 x 5.5 x 3.5 (L x W x H in metres). The additional area is required to accommodate blower fans, entrances and exits, movement and a safety perimeter. Access required: 1.2 Metre width. This means gates, paths, doors and any access route from where we can park our vehicle to your set up point must be a minimum of 1.2 metre in width. If you have gravelled paths, steps, slopes or steep driveways, YOU MUST advise us at the time of booking. Additional charges may apply and we may refuse to install your inflatable if you have not advised us of any of these obstacles. Power required: Two (2) standard 10 amp power outlet on an un-shared circuit is required for this inflatable. This means NO POWER BOARDS or DOUBLE ADAPTORS can be used or other equipment plugged into the same outlet (A 10 amp outlet is an ordinary household outlet). If adequate power is unavailable, you will be required to hire a generator (additional cost). How do I book this Mechanical Ride? Can this Mechanical Ride be set up on concrete? What time will you arrive to set up? Delivery runs are finalised the day prior to your event. Please give us a call on 1300130011 if you would like and exact arrival time. Note, the hire time selected is NOT the delivery/collection times for your equipment and can be much earlier (than hire start) and later (than hire end). We require a 25% deposit to secure all events and avoid double bookings (payable by bank transfer or c/c). The balance can be paid in cash when your equipment is set up on the day of your event. Light rain is generally OK for the inflatables / equipment and we will proceed pending safety and your confirmation that your event is still going ahead. Heavy rain, strong winds or flooded set up areas however will force your set up to be cancelled. We will not endanger our installers OR your patrons and reserve final say on all installations. Should your event be cancelled, your deposit will remain in credit and you are welcome to re-book your event at any time (pending availability). Can you set up at a park? Yes. You may also need to contact council for a permit. You'll also need to find out if the park has power available and whether you can gain access to it. If not, please contact the office for more details on generator hire for this Mechanical Ride. Just like to give a shout out to Jolly Jumps who provided the mechanical bull for our sons 18th. Awesome customer service and the operator was super patient and polite. Thank you. Fantastic service,great staff an absolute pleasure to deal with.Can't wait for our next party to do it all over again..Thanks guys,you made our night. Jumping castles for Hire Gold Coast, Brisbane and South East Queensland. 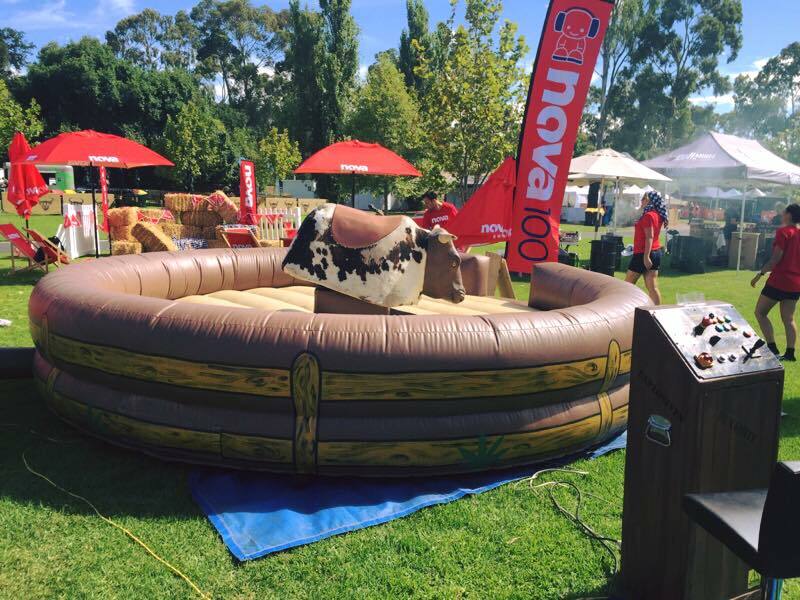 See Jumping Castle Hire Brisbane and Jumping Castle Hire Gold Coast for more details. Jumping Castles for Sale Australia, Queensland, New South Wales, Victoria, Western Australia, Northern Territory, South Australia, Tasmania, Australian Capital Territory.